Onida Television Contact Number is provided below for customers who would like to contact Onida TV Customer Care for any queries/issues they may have with regard to their TV or customers who want to raise service issues and complaints can utilize the Onida TV Service Email or phone number. Address : No.770 1st Cross 1st Stage, Indira Nagar. Area Name : Indira Nagar. Address : 48/404, Alagesan Road No – 1, Vgr Puram, Saibaba Colony. Area Name : Saibaba Colony. Address : No.14, 3rd Street, Bharathi Nagar. Area Name : Bharathi Nagar. Address : Shop No. 2/3, Opp Digvijay Mill Gate, Dr Ambedkar Road. Area Name : Dr Ambedkar Road. Address : 31, Akshay Complex, Off Dhole Patil Road. Area Name : Off Dhole Patil Road. Beside Nellore Ravindra Bharathi School, Prajasakthi Nagar. Area Name : Prajasakthi Nagar. Carry in Warranty is something where customers have to carry the product to Onida Service Centre available and get the service done by the Customer Service team. Onida Onsite Warranty is where the customer service technicians visit your home to get the product serviced, this service is applicable for selected products within the city area limits only. Both these warranties are applicable for Onida Televisions(TV). Almost all Onida TVs have 1 year warranty on the product and free transit insurance. Onida is one of the oldest and trusted companies in India that offers wide range of Electronic goods including Refrigerators, televisions, microwave ovens, DVDs, washing machines, Induction cookers and many more. Onida Televisions are one of the best featured products offered by the company with its innovative technology. LED, LCD and Color Television are the types of TV”s offered by Onida with latest features that brings user friendly experience. It includes modern features like light in weight TV design, bright color, sharp video picture, amazing surround sound and many more exiting features. Neo LED TV, Chrome LED, Excite, Rave, crystal, Intelli smart, Diamond LED, Intelli LED TV are some of the popular series offered by the company. 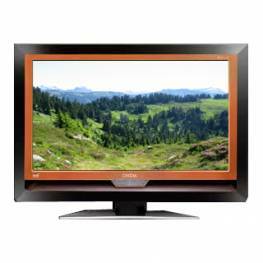 For more information regarding Onida TV models , Onida TV prices, visit the website : www.Onida.com. If you are interested to give feedback related to the company services and products, kindly refer to the following link. We had complained at the service centre the technical person had attended the call after 15 days and he has taken the pics of the display and same will be replaced in a weeks time or as when the part is available .. But after calling many the Service centre personal Mr Machinder is tell us the it cannot be replaced as it is physically damage My request to you to check the problem from your side how can the display have the same problem again. As the TV is in warranty and if i am not getting the service from the service centre i have to forward me complain to consumer court. I have purchased ONIDA 58″ Tv model No 58″ UIC for Rs 55000 on 5-9-2018. The TV is found defective from the date of installation ie 7-9-2018. I daily made complaint but even after 15 days no technician came to repair it. My Rs 55000 has gone in the dustbin. Please do not purchase ONIDA TV as the ONIDA TV and SERVICE both are worst. about display. then I complaint to onida customer care center. then after 3 days service man come to my home and really he gave a nice service. his name is Mr. Dhawale sir. so thanks a lot of Onida customer care center . I apologize to say that onida products are good but service is very bad. I have purchased 46 inch Led tv on 14/01/2014 from usha store from goa an it has warranty till 14/01/2015. On 28/09/2014 tv has stop working an we have informed to the service centre each an everyday from the day tv has stop working but they only reply that they will send the technician but still now no 1 has turn back. If so continues than we have to take take step to consumer forum. So waiting for your reply at the earliest. I am having onida ultra slim tv there is probelm when I power the button sharking noise is coming from TV I trying to call your service center but no one is picking up call can somevcall me on my mobile 9004091888. I am really disappointed to say that I am a customer of Onida brand which is one of greatest electronics manufacture.. I bought one Ondia TV before 2 years & got it repaired 5 times due to power issue .. I cant bear it anymore & i am throwing out this product.. I was a Customer who used to buy Onida product but now it’s no more…. Happy selling your faulty products !! Sir, I bought aonida lcd 32″ last 6 months back . Now it is not working. Can u help me for above problem. Sir, I bought a Onida KY2 series television long back now it is not working well. I am living close to Zira in Distt: Ferozepur Punjab. Can I get a number of some engineer who can provide me service for the said Tv and help me out. my tv model is onida ky thunder and there is problem in the tuner and i have call one of mechanic in onida from pathankot he was said this model tv tunner is not available in the market so pls inform me wether this model tunner available in the market or not and what is the price of the tunner. Purchased on 28/01/2010 an Onida tv model number 21SLP350B with chassis number 914003300 and tax invoice number 1021 and the total amount paid Rs9290 as on date mentioned above from “home-n-need” Calicut.On 21/10/2010 paid Rs1615 as EWC amount for rectifying future complaints.On 2/12/2011 a complaint has been regestered at “Adonis Electronic pvt ltd” Calicut Kerala,till today there is no response from customer relation centre , the service is not satisfactory ,please do the needful.